The rose gold trend has been on the rise, becoming a cool alternative metal for engagement rings and fashion-forward jewelry designs. 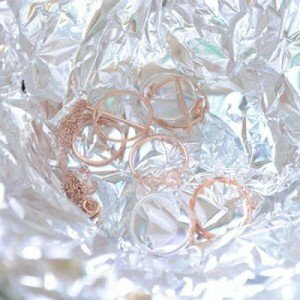 To learn more about rose gold, we take you through its history, unique properties and fundamental at-home care tips for your rose gold jewelry. Since then, rose gold has undergone brief periods of being en vogue. 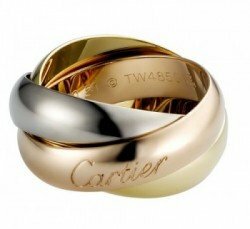 Rose gold was briefly popular during the Victorian Era but fell out of fashion until the 1920s when Cartier re-introduced rose gold to the mainstream with their Trinity Ring which incorporated bands of yellow, white and rose gold. However, this boon in popularity was short lived as platinum became the preferred metal throughout the 1930s Art Deco era. When World War II broke out in the 1940s, platinum was repurposed for military use and became a scarce material. Many countries during this time restricted or completely halted the use of platinum for any commercial or non-military purposes which prompted another wave of popularity for gold and rose gold jewelry. Since the mid-1950s, rose gold has remained a fashionable choice for jewelry designers. At first blush, copper may look similar to rose gold’s pinkish hue. However copper is a darker, more brown color than rose gold. And after exposure to the elements, copper oxidizes and tarnishes, creating a pastel green patina. Look for the hallmark to see if there is a mark for the karat weight. Rose gold is by definition an alloy metal so there is no such thing as pure rose gold. Therefore, if your jewelry is marked as 24K, it is likely fake. The most common fineness for rose gold is 14K in the US and 18K in Europe. A strong red coloring indicates a higher copper content, or differently said: the higher the karat weight, the fainter or softer the shade of pink in rose gold. Therefore, if your bracelet is marked as 18K, but is a deep red, then it is likely a fake or, at very least, not 18K. Here are examples of 10-karat, 14-karat and 18-karat rings. One at-home test to prove your jewelry is fake (but does not necessarily indicate that it is real) is a magnet test. 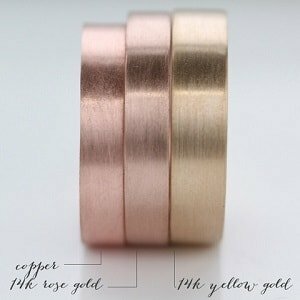 If your jewelry is attracted to the magnet, then it is fake rose gold. And if you’re shopping for pre-owned or vintage rose gold jewelry, look for any visible discolorations in areas of the most wear like the inside of the ring band. If you see another color underneath, then the jewelry is likely only gold-plated or counterfeit rose gold. Here is a simple-at home process to clean your rose gold jewelry. Line a bowl with aluminum foil, shiny side up. In a separate bowl, microwave one cup of water for 1-2 minutes. In the aluminum foil-lined bowl, combine the warm water, one tablespoon each: salt, baking soda, and dish soap. Soak your rose gold jewelry in the water mixture for 5-10 minutes. Remove and dry thoroughly with a lint-free cloth. For deeper cleans, bring your pieces to a jeweler who can thoroughly clean and polish your jewelry. do NOT use this cleaning method if your jewelry is rose gold PLATED. it will dissolve the plating!